The term ‘Vintage Tractor Engineer’ or ‘A H Ridsdale’ or ‘us’ or ‘we’ ‘the website owner’ or ‘our’ refers to the owner of the website . The term ‘you’ or ‘your’ or ‘user’ or ‘reader’ (or any plurals there of) refers to the user or viewer of our website. Tractor restoration can involve working with hazardous substances and heavy machinery and moving parts. 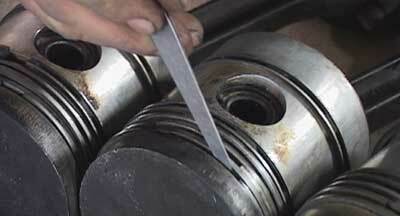 We always recommend readers of this website to follow the best safe working practices when working on their tractors. It is recommended that risk assessments are carried out before performing any tractor maintenance task. Whilst every effort is made to maintain the information contained on this website, neither the Website Owner nor any third party or data or content provider make any representations or warranties, whether express, implied in law or residual, as to the sequence, accuracy, completeness or reliability of information, opinions, research information, data and/or content contained on the website (including but not limited to any information which may be provided by any third party or data or content providers) and shall not be bound by any information contained on the website. The Website Owner reserves the right at any time to change or discontinue without notice, any aspect or feature of this website. No information shall be construed as advice and information is offered for information purposes only. You and your company rely on the information contained on this website at your own risk. If you find an error or omission at this site, please email us. You acknowledge that such information and materials may contain inaccuracies or errors and we expressly exclude liability for any such inaccuracies or errors to the fullest extent permitted by law. External links are provided for your convenience and are beyond the control of the website owner. Users must not use this website to post any message or material that is copyrighted, unlawful, harassing, defamatory, abusive, indecent, threatening, harmful, vulgar, obscene, sexually orientated, racially offensive, pornographic or violates any applicable law and you hereby indemnify the Website Owner against any loss, liability, damage or expense of whatever nature which the Website Owner or any third party may suffer which is caused by or attributable to, whether directly or indirectly, your use of the website to send or post any such message or material. The website owner reserves the right to remove or alter any comments left in the public areas (including discussion forums) without any notice to you. We may, upon request, disclose all user personal information to all requesting authorities in a case of vilation of these terms . The website owner also reserves the right to utilise user generated comments and content within the website, products, digital products and to hyperlink to and discuss the ccontent. This website does not own or pertain to own any of the tractor brands mentioned on this website. We have not knowingly infringed or violated any brand identity, copyright material or likewise; please contact us if you are unhappy with any such material and we will be happy to remove the said material with immediate effect. This website contains material which is owned by or licensed to us. This material includes, but is not limited to, the design, layout, look, appearance and graphics. Reproduction is prohibited other than in accordance with the copyright notice, which forms part of these terms and conditions. Unauthorised use of this website may give rise to a claim for damages and/or be a criminal offence. Some of the hyperlinks on this website may be to third party products or services for which A H Ridsdale receives an affiliate commission for any resultant sales. We do not sell, gift or in any other way pass on email addresses or other personal data to any third parties unless required to do so by law to a relevant authority. We aim to fully comply with the GDPR for any personal data we hold. You have given us consent to send you emails when you joined our email list and/or our Tractor Maintenance Articles. 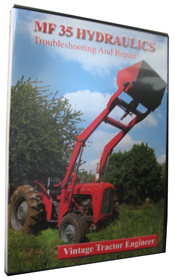 For any customers who have purchased a DVD, video, course, download, resource, tools, tractor spares etc., your purchase (or free resource) includes the Tractor Maintenance Articles (delivered via email) and any ongoing tractor related email articles. 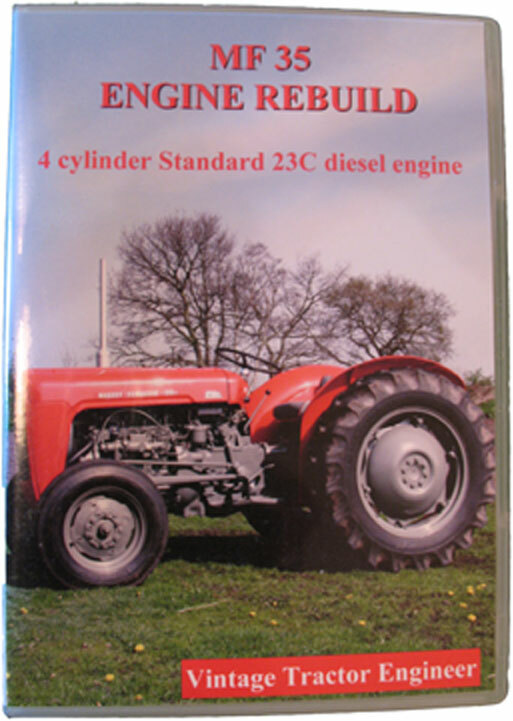 This information is designed to compliment and enhance your purchase (or free resource) with additional information such as technical specifications and general tractor maintenance resources and to inform you of any other products or information that we feel may be of interest to you. We hold any personal data with respect for you as an individual. If you wish to see what personal data we hold on you, please Contact Us and we will be very happy to provide all the information as soon as we can. If you wish to unsubscribe from our mailing list, then please just let us know. There are also unsubscribe links at the bottom of all our automated emails.